While America was celebrating Thanksgiving Day, Canadians were celebrating the announcement of Alberta’s Country Thunder 2019 headliners. Canadian Music Hall of Fame member Terri Clark, once again, did the honors with our friends at Entertainment Tonight Canada in revealing the star-studded roster of talent set to perform at next year’s festival. 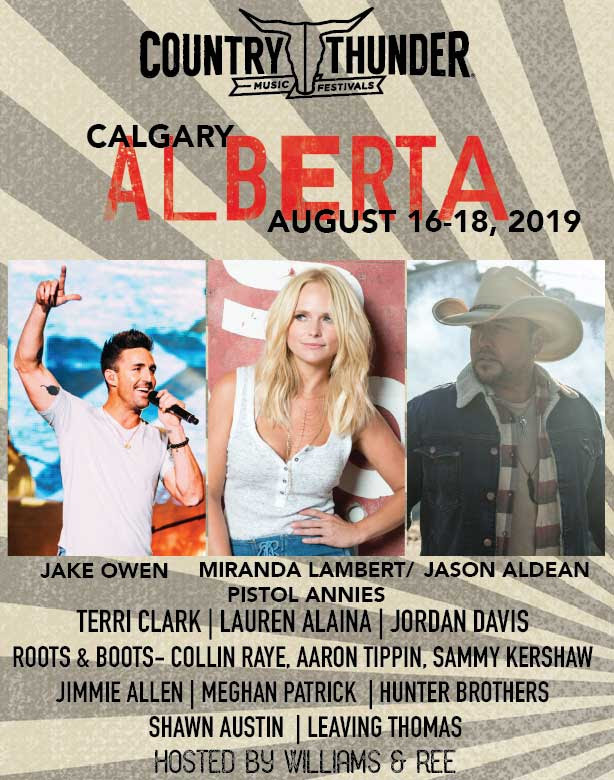 Country Thunder Alberta 2019 is rolling in… see you all there!! !